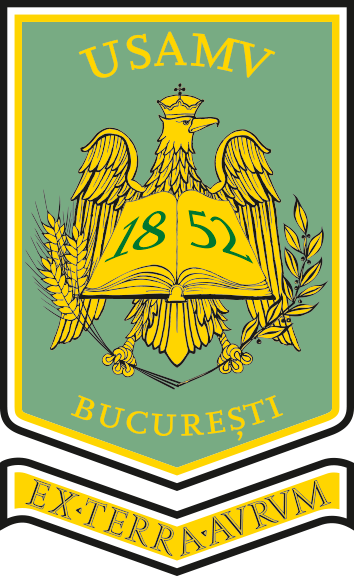 The University of Agronomic Sciences and Veterinary Medicine in Bucharest is the result of an academic, scientific and administrative course supported by the great names of the Romanian education and agronomic science, which debuted with the first Agronomic School in Romania. The USAMV B mission, Is the education and scientific research to train highly skilled and skilled workers in the core areas of the labor market: “Engineering sciences” and “biological sciences”. The fields of study covered by USAMV B are: Agronomy, Biology, Forestry, Horticulture, Animal Husbandry, Veterinary Medicine, Food Engineering, Civil Engineering, Environmental Engineering, Geodesy, Biotechnologies, Applied Engineering Sciences, Engineering and Management in agriculture and rural development. The University has space allocated to scientific research activity; funding for scientific research is mainly obtained through projects won in national and international competitions. It is worth noting that the students come in 72% of the the rural area of Calarasi County and the Ialomita, Constanta, Giurgiu counties. “Angel Kanchev” University of Ruse – Silistra Branch is an accredited educational structure which vision is to prepare highly qualified specialists working for the sustainable development of the region and introduction of innovations in education and services. 1. Bachelor programs for pedagogical and technical specialties: Pedagogy of Bulgarian and Foreign Language Teaching (English, French, Roumanian), Pedagogy of Physics and Informatics, Automotive Engineering and Electrical Engineering. 2. Master’s Programs: Modern Educational Technologies in kindergarten and primary school, Communication Techniques and Pedagogical Skills, Pedagogical prevention of crime and probation practices. 3. PhD programmes in the field of Bulgarian language for acquiring educational and scientific degree DOCTOR. 4. The Erasmus + European Education Program. Mobility of students and lecturers with universities in Spain, Morocco and Turkey is realized. CCIA Calarasi is an autonomous, non-governmental, public utility, apolitical, non-profit, non-profit, legal entity created to represent, defend and support the interests of its members and the business community. 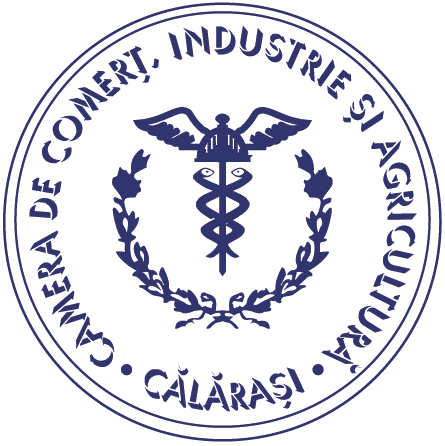 In accordance with the Statute, Calarasi CCIA has the following main duties: It represents and sustains the interests of the economic agents; it co-operates with similar institutions from abroad and their representations in Romania; expert assistance in matters of commercial law and arbitration of business disputes; it supports the identification and promotion of economic, financial and investment projects of the economic operators it draws up, on request, various studies; it organizes business missions abroad, symposiums, seminars for foreign businessmen in Romania and for Romanian businessmen abroad in order to maintain the economic and commercial changes with other countries. The main purpose of Access Association is to Support in all forms of economic, social, multicultural, sporting, multiethnic, religious and multinational cooperation; Sustainable economic and social development; Promoting and popularizing culture in all its forms. Being a dynamic organization, with the backing of its founding members, the association acts with precision at the level of the cross-border area in Calarasi County and the northeastern region of Bulgaria, intending to expand strategically to neighboring regions in the future. The association’s efforts are focused mainly on developing, supporting and strengthening partnership activities, informing and training young people, creating collaborative networks between different business sectors, etc. It also aims at identifying and solving community problems by involving citizens dynamically. BIC INNOBRIDGE is a business support organization, which follows the methodology, collective experience and applies the know-how of the European Business and Innovation Centers Network (EBN). It is the first and only accredited BIC by the EBN network in Bulgaria. It is an NGO association, which deals with innovations and provides business support services, such as: trainings, seminars, consultations, and other tailored services, depending on the specific needs, especially to young entrepreneurs and Start-ups. BIC INNOBRIDGE has experience in organizing different events such as: Conference on Business Innovations, trainings and workshops for start-ups and young entrepreneurs, aimed at building their capacity through enriching their competences in the fields of: Financing, Business planning, Market penetration, etc. It has also organized screening-meetings for identification of the entrepreneurs’ needs for development of their ideas and (potential) businesses, and based on them the Center has organized consultations of the entrepreneurs with highly-specialized experts in the fields of the needs identified.